Mae McNair is an astronaut on her last mission before she retires. With her son, Michael, in the co-pilot's seat and a blossoming pen-pal friendship with her co-worker, Abel, Mae has much to be thankful for. But when a control panel malfunctions, Mae is locked out of Solace Station as it orbits high above the Red Planet. With God guiding their hands, Michael and Abel must work together to save Mae before the vacuum of space becomes her final resting place. 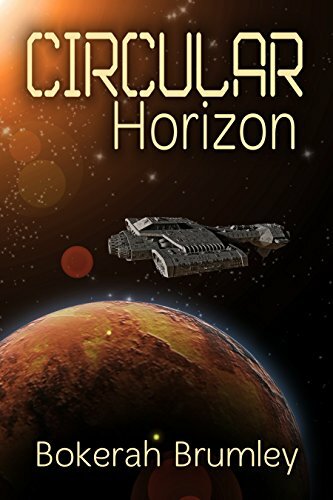 A quick and satisfying read ... while the science fiction aspects are handled well and seem believable, I'd say this is more a character piece than a traditional scifi. Though the author sneaked in reference to The Martian which made me chuckle ... and was also dang nervy, so kudos ... it felt less like that and more similar to the real life survival stories I used to read in Reader's Digest, a quick piece that introduced characters, gets them in a lot of trouble, and then watch them rely on their faith and inner strength as ... spoilers, I suppose if I go any further into that. I felt the most for the son in this. Even though he's less of the focus, I felt he was the most relatable. Mae, for me, was a little too sweet. Not unbelievably so, but just not as interesting to me as a more "sassy" character might've been in the same position/situation. But it is such a quick read that you're mostly going to be just looking for the "and then what happened ..." so I think no matter your taste in characters, you'll find this devour-able. Wanted: A man with the four C's (Chinese, Christian, Cash and Career). Ability to cure hives a plus. Melanie Koo may be a physician skilled in helping others, but the one thing she can't fix is her own love life. That's why her mother comes up with the perfect remedy--an arranged marriage. Being a dutiful daughter, she agrees to this loveless match ... until a chance meeting leads her to the cure for her hopeless heart. Ben Peters is everything Melanie was not looking for, but she can't help but be drawn to his passionate and kind nature and, not to mention, those adorable dimples. For once in her life, she considers breaking parental expectations to go after what she wants. The only thing standing in her way is a five foot one traditional Chinese mother and her scheming ways. Melanie has to make the biggest decision of her life. Will she stay true to her family or will she choose to believe that true love can be colorblind? I have a hard time reviewing romances because I am very aware that a lot of the things that annoy me about the genre (and hence why I rarely read it) are kind of expected and even enjoyed by romance readers in general. Mainly drama. I have little to no tolerance for drama (in real life or fiction) ... I enjoy quieter character driven romances from time to time with the drama played more for humor than frustration and people actually talking through things to solve their problems, and this one satisfies that ...for the most part. At the end we're introduced to a "drama upper" which I could've done without (can't discuss without spoilers), but I felt like it was more a few pages of "speed bump" rather than a serious flaw. Honestly, I kind of would've liked the whole thing to be him just trying to adapt to her family and making little cultural mistakes which her mother would blow out of proportion. That would've been just the right amount of drama for me. However, if you don't mind a story going a level deeper with some more serious dramatic issues, that probably won't be a negative for you. 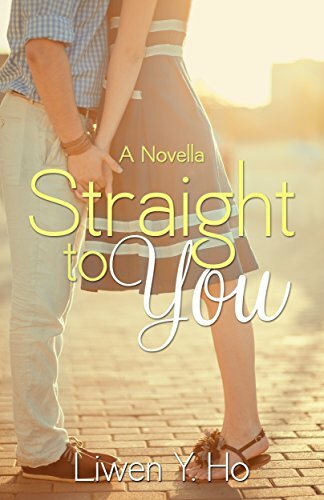 Ashlynn Peters is ever the optimist when it comes to love, but even she's surprised to cross paths with a real-life Prince Charming. Jeremy Adams, her childhood crush, is back in town. He's sweeter and more handsome than she remembers and also more intriguing than any man she's dated. 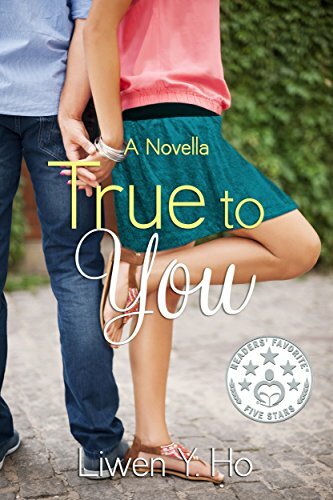 Ashlynn finds herself falling hard for Jeremy, only to discover that he's not the perfect guy she thought he was. Will she choose to look past Jeremy's tarnished armor or give up on finding her happily-ever-after? Inspired by the author's own love story, this romantic novella will have you laughing, dreaming, and wondering if fairy tales really do come true. Overall an enjoyable read, a cute story about a couple reconnecting and a man trying to change his life for the better. I kind of didn't connect with how unforgiving Ashlynn was of his past, but it isn't that I didn't believe it. There are girls who probably would react that way. I just tend to be more of the forgiving nature, I suppose, and I found her reaction hard to empathize with. However, if you're looking for a love story about second chances with a gentle Christian message, this will probably appeal to you.